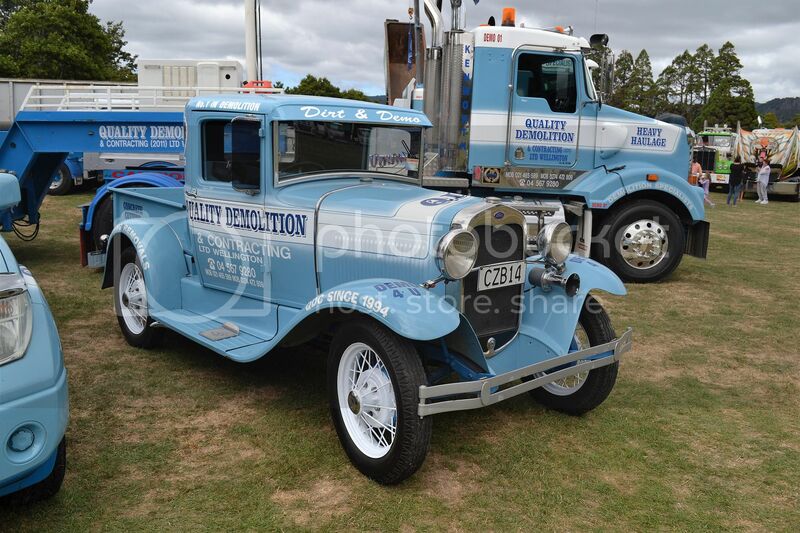 Quality Demolition always have a good display and didn't let us down this year either. 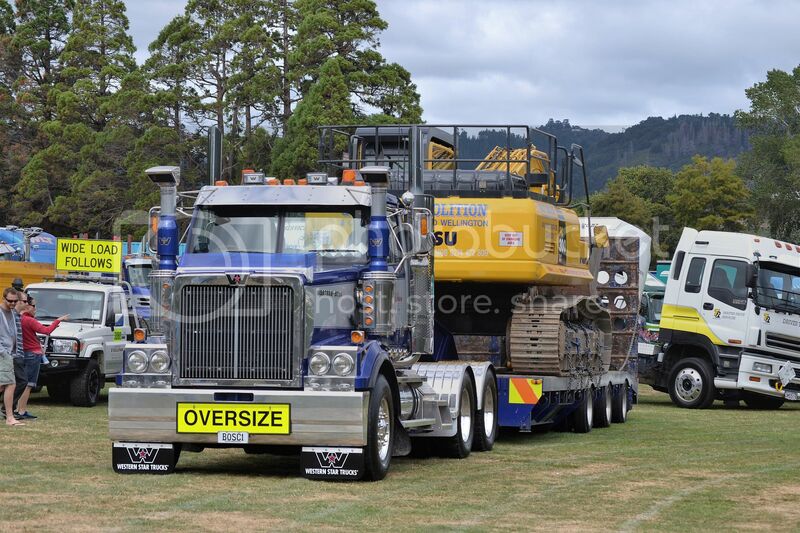 Western Star with wide low loader. 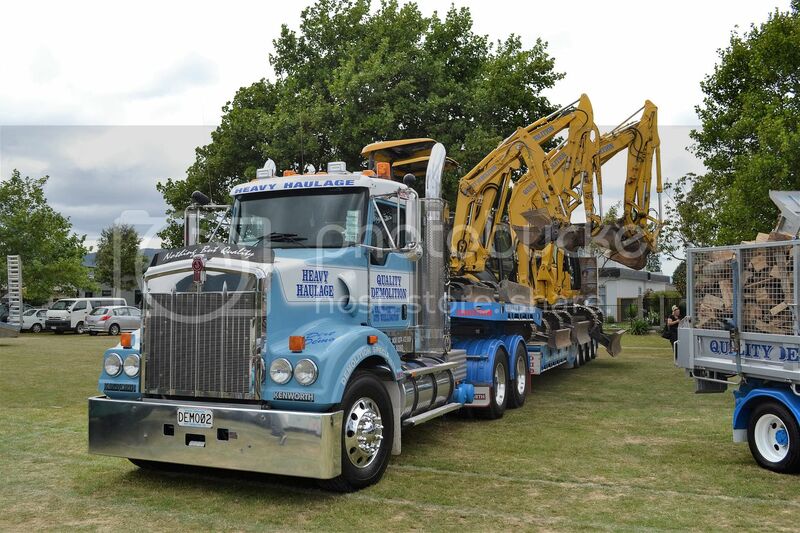 A trio of Kenworths led by their 1970 LW925..
Kenworth T2000 with rubble tipper. 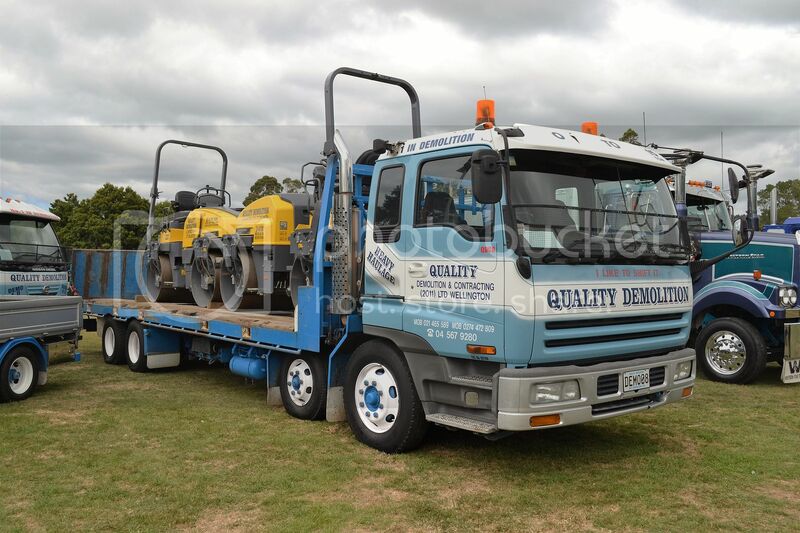 And rollers hauled by Isuzu. 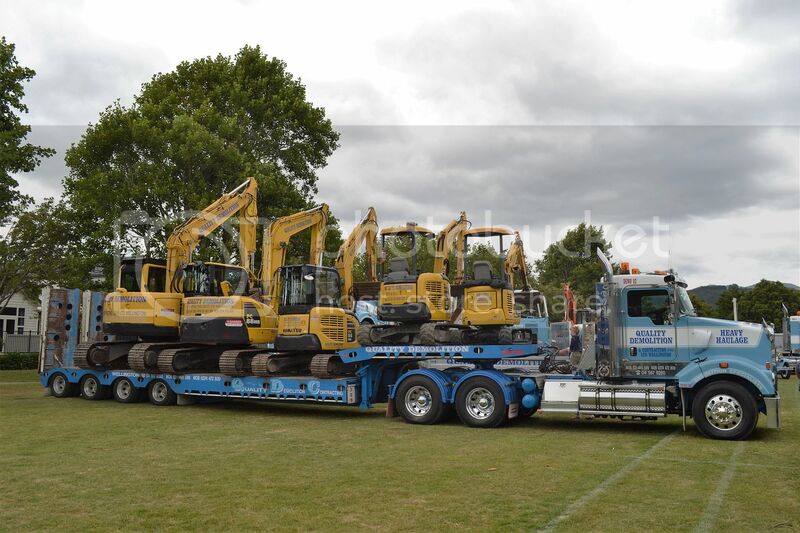 Another view of the diggers. 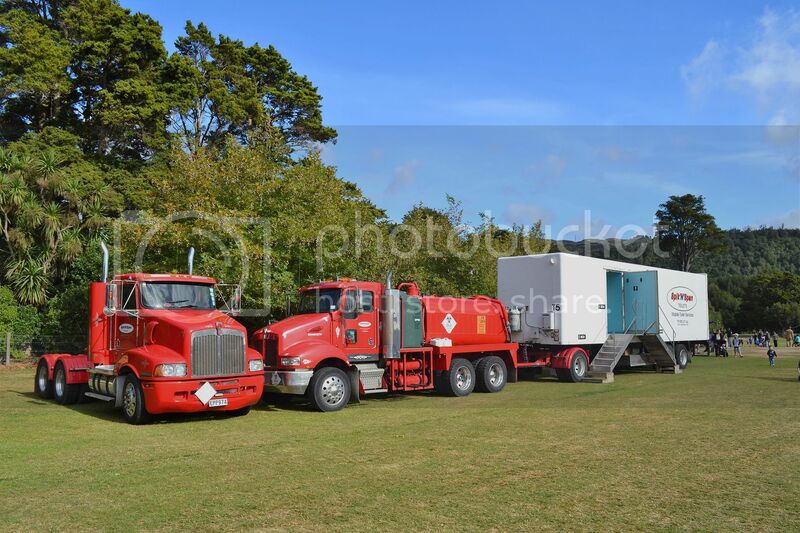 Even the Kenworths towing the toilets were worth snapping. 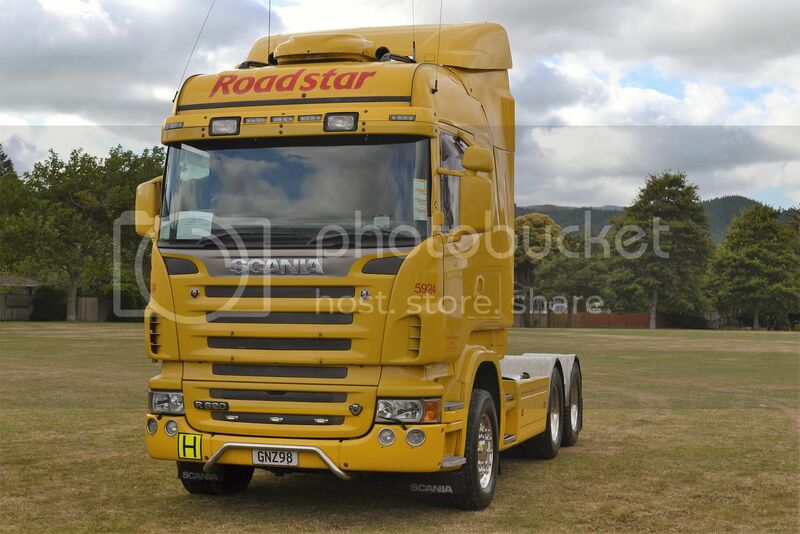 Big Scania is very.........yellow ! 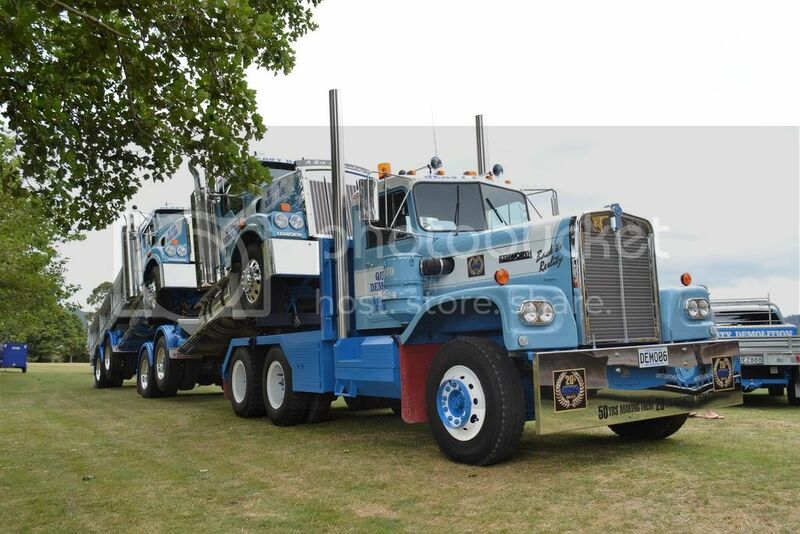 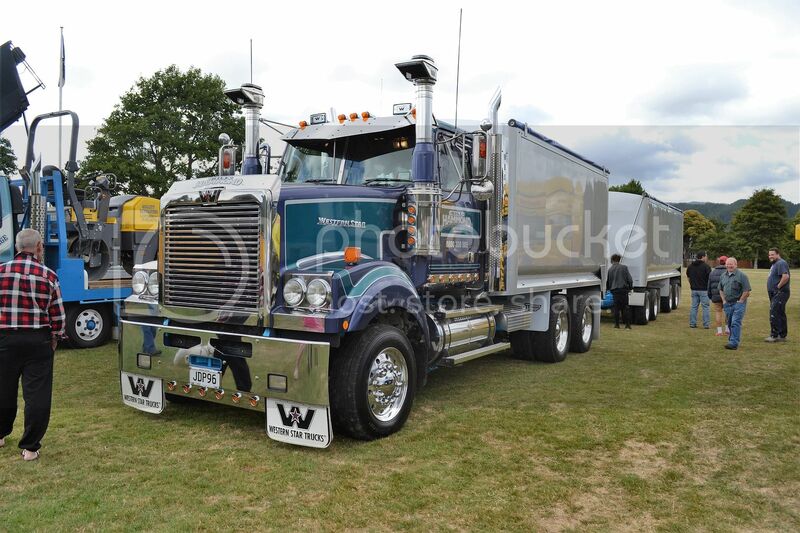 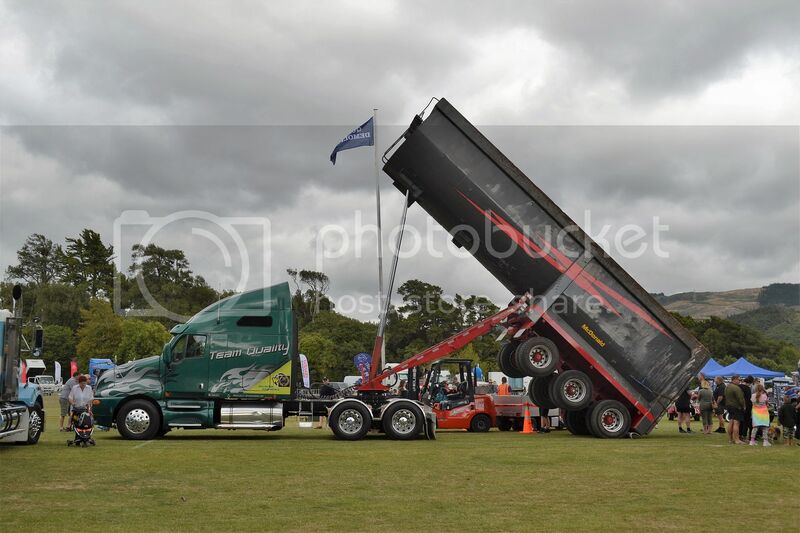 Bill Hammond , from Carterton, showed this well presented Western Star.